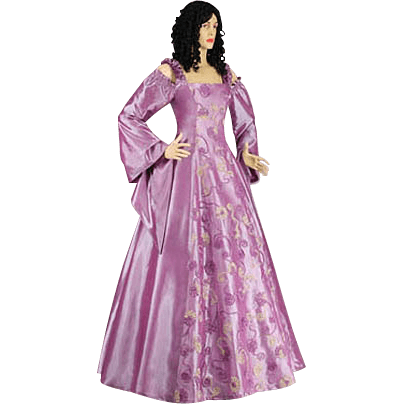 Our Pink Princess Renaissance Dress is a beautiful renaissance style one-piece dress made of taffeta with a center section embroidered in a flower pattern design. 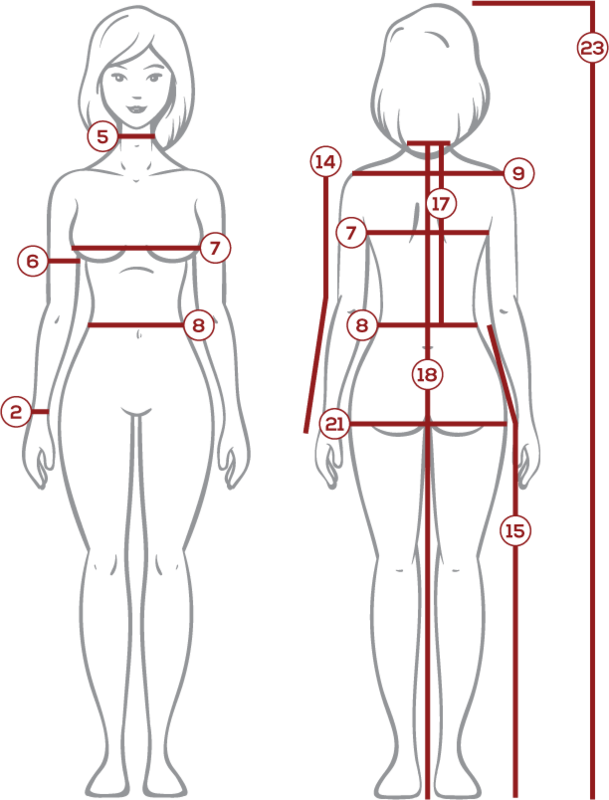 This gorgeous gown fastens with laces at the back, so it can be adjusted to fit just about any body shape. The sleeves are wide and hang off the wrist. The dress is pictured being worn with a petticoat which is not included but can be purchased separately. 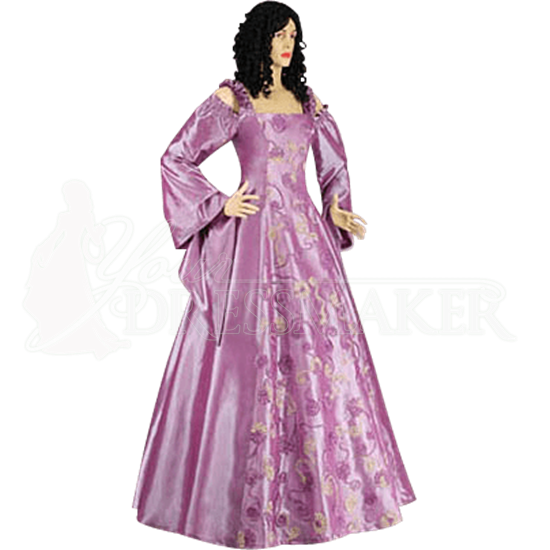 The Pink Princess Dress is perfect for Medieval reenactments, Renaissance faires and themed weddings.